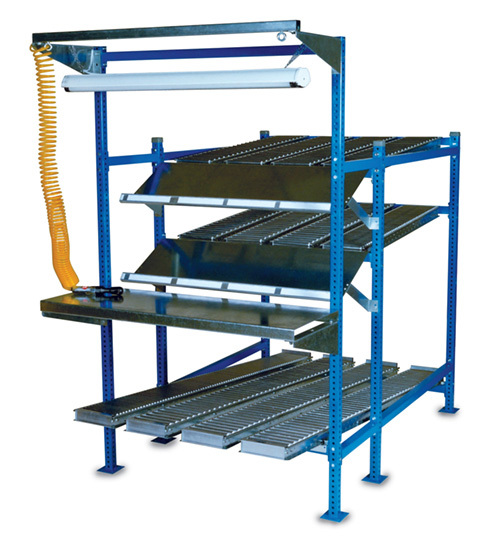 "Mix & match" components make it easy to create ergonomic stations ideal for picking, assembly or line side storage. Posts & beams create the flow rack structure, so you can design customized configurations of flow storage. The shelves are customizable and constructed to adapt to your needs. If more picking locations are needed, rather than having a return shelf, the beams of the rack can be adjusted to reverse the angle of the lower level.